So basically, when I started this blog, I had intended to do monthly projects (not every month but on a regular basis) where I'd choose a theme and draw something each day of that particular month. As I started getting more and more client work, that idea kind of fell to the wayside. My favorite theme was always March of the Monsters. I only did it twice, but I always looked forward to it. Although I still don't have enough time to do a daily drawing, I at least wanted to create a few pieces this year. 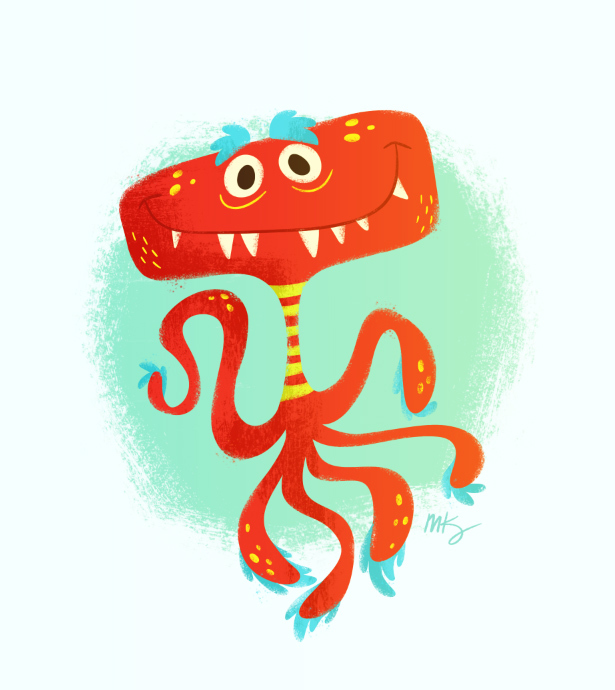 Here is the first one, which my daughter named Mr. Squiggly Monster. Love this design! March onward!! !